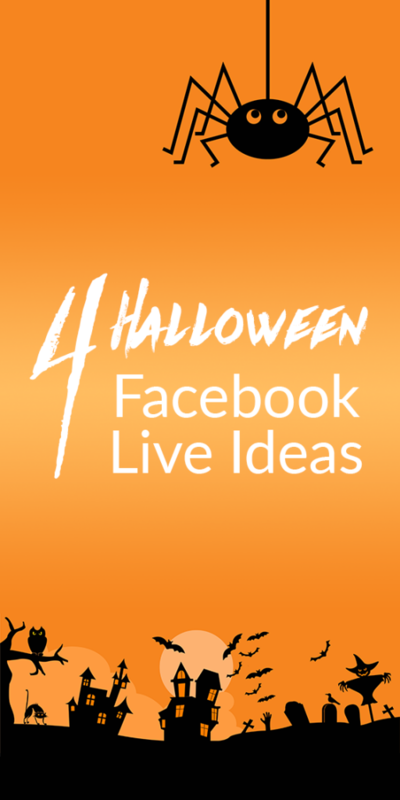 Facebook announced fun Halloween filters for Facebook Live to get people into the spirit and to encourage hesitant users to this fun feature. 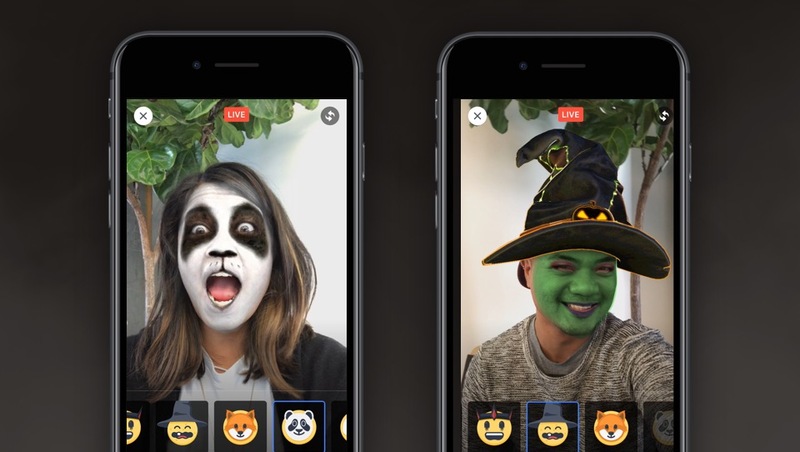 While very similar to Snapchat filters, this is going to be a fun way for people to share their Halloween antics with Facebook Live this Halloween. So, how can your business participate this Halloween? 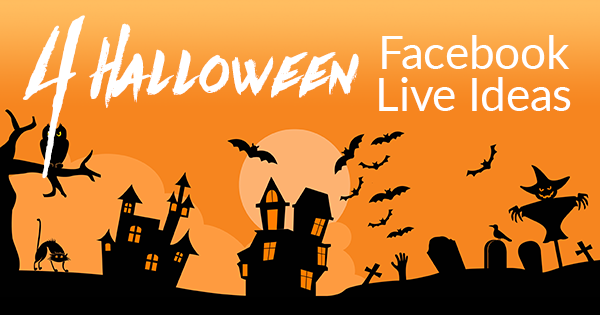 With video posts getting 135% more organic reach and these Halloween filters, Facebook will definitely be favoring Facebook Live videos in your follower’s News Feed. 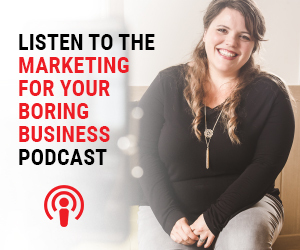 Needless to say, being present is a must and here are some fun ideas to help you get some extra engagement with your community. Nothing says “I love you guys” like a Halloween giveaway. Using Facebook Live, announce the giveaway, explain the rules, and of course show off the prize. The giveaway can be as simple as a Visa or Starbucks Gift Card or maybe it is giving away your newest product to one lucky viewer or announcing a discount for the next 24 hours. Whatever it is, make it full of Halloween goodness and have some fun with it. What are you going to be for Halloween? I bet you have been asked this a zillion times leading up to Halloween, so why not show it off. Talk about your decision-making process, where you got it, how you made it, there are so many things you can share with your followers so have fun with it. Oh, and remember to answer any questions people ask and thank people for their praise. Is your office is doing a costume contest? Why not let your followers pick the winner! Put a time cap for when people need to vote. Then do ANOTHER Facebook Live video showing off the winner/s. Get some intel along the way; ask the costumer about why they picked that costume, how they made it, and why they love working for the company. Did you decorate for Halloween? Facebook Live that up! We are all mildly obsessed with Pinterest (yes, me too) and it goes unnoticed by those tiny humans who are just at your door for candy. Share your hard work with your followers, talk about what you did, how you did, how cheap you did, where you bought it, seriously over-share your decorating experience. Take it the extra step and have other people in your office show off their decor. Schedule times with them to go live and make a whole thing of it. Come Nov 1st, no one is going to care about your super amazing pumpkin carving so, show it off while you can. This one will require a little research and creativity, but you are the expert in your industry. Find the Halloween related facts for your business and talk about them. Give the facts, tips for dealing with it, how to overcome them, how to deal with them, maybe a personal story or experience related to the information. Sharing your knowledge face-to-face with your audience will allow for them to trust you more and the fact that it is timely and holiday relevant is just extra candy in the bucket. Promote that you are doing a Facebook Live video/event ahead of time. Blast it out on social media for a day or two with the time and what plan to talk about. This will allow people to be prepared and ready. Make your videos kind of long. I don’t think your video needs to be over an hour, but the longer your video is, the more views you are likely to get. These tips are sure to make your Halloween filled with lots of business treats, so eat, drink and be scary!